So you’ve got that wonderful work-at-home online business up and running. You’ve got a dynamite website with easy to use navigation, a slew of well written, entertaining and pertinent articles, and more revenue-generating links than you can handle. But for some reason, the hits just aren’t coming and your business isn’t making as much money as you deserve. How do you turn a struggling online business into a profitable online business? The first thing you have to ask yourself is, ‘How are people hearing about my site?’ In an Internet dominated by search engines like Google and Yahoo, high search engine ranking is a must. Why? Most search engines show ten results per page, ranked in order, and most users never make it past the first page. That means that if your website is going to be found, it needs to be top 10. But how? How!? Take a look at the title of this article. That’s right. Through search engine optimization. SEO is a simple concept. Use the words that people will probably enter into search engines strategically in the content of your website. This article is using a couple of SEO keywords, like Online Business or Search Engine Optimization, the very subjects people might search for if looking for an article like this. See how easy it is? Two more keywords without interrupting the flow of the article! Using search engine optimization effectively may mean redesigning most of the content on your website. When you’re doing that try to keep in mind these Six Commandments of SEO. Knowing what keywords to use is the most important part of SEO. This means research. Lots of research. Start off by trying to find your site on various search engines. Chances are you won’t, at least not on the first page. Write down the top 10 results you do get. These sites are your competition. Try a few different combinations of search terms. Are there any sites that appear more than once? Check those out. What keywords or phrases are used over and over? What are the titles of pages? What is the content about? What is the web address? These are potential keywords Record them. These will be the basis for your own search engine optimization. Keywords should be thought of as compliments; the more you give, the less meaning they have. By the same token, not giving enough won’t get you noticed. Use them wisely. Find that happy ratio of keywords to normal. A general rule of thumb in search engine optimization is 2.5-4% of your content should be keywords; no more, no less. Don’t fall SEARCH ENGINE OPTIMIZATION into the tempting ONLINE BUSINESS trap of SEARCH ENGINES using keywords randomly SEO in order to increase your search engine rank. Tough to read, wasn’t it? Kinda made you want to scream and tear your hair out? Content above keywords. If your articles are so keyword rich that they don’t make sense, users won’t return and you’ll lose repeat revenue. All the search engine optimization in the world is useless if your users don’t stay on the site long enough to put cash in your pocket. Search engines pick up on this tricks anyway. Besides, it’s just plain dirty fighting. So you’ve done your research and have a list of 25 keywords you want to use in your site. Each article has a primary keyword or two. Unfortunately, every article on the site is using the same two keywords. What about the other 23? Don’t let yourself be tempted by the ease of using the same words over and over. Write articles about all 25 keywords. You spent all that time researching them, now use them! And just because one article is about one keyword doesn’t mean you can’t use other keywords in the article. Use the non-primary keywords like salt sprinkled over the entire site. Getting that number one search engine rank was hard. It took hours of work, and now that you’ve reached the pinnacle it’s time to sit back and reap the benefits. Right? How long do you think that number one ranking will last? You know your competitors got mad when you beat them and are redesigning their sites right now. Right now, I say! Eventually they’ll pull ahead of you again, unless you manage to stay ahead in the game. Update your site constantly with new keyword rich content to make sure that you’re on the cutting edge and can keep that number one ranking. 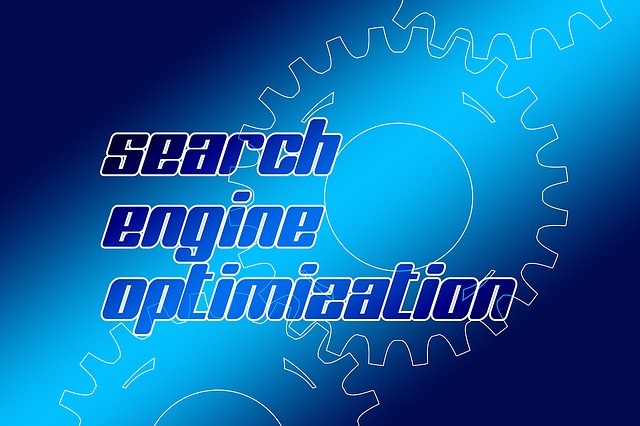 Search engine optimization can seem like a daunting task at first, and maybe it is. But never forget that there are people out there willing and able to help you; it is, after all, how they make a living. Some writers specialize in SEO and there are websites available that do most of the research grunt work just waiting to hear from you. So no matter how daunting a task it may seem, don’t ever give up on search engine optimization. In an internet where everything depends on page hits, your search engine rank can never be too high.